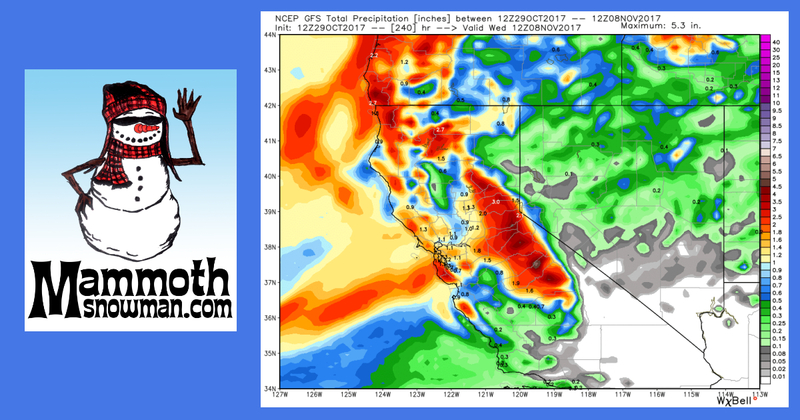 Weather Guy posted a great update… hope in the forecast for some snow long range! The Snow is Great on Mammoth Mountain – Check out Snowman’s Video and Photo Snow Report at MammothSnowman.com. Just posted over 50 new photos and a detailed report along with video from the hill. We have about 2-3 inches of fresh snow at Main Lodge… check out our full report buy click below.